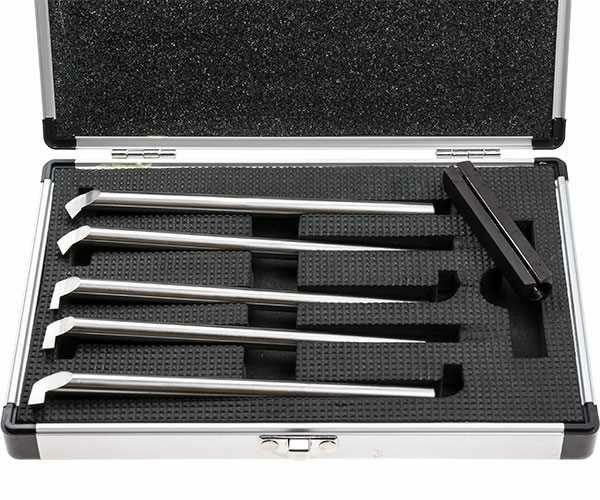 Five sets of HSS Internal Threading and Boring Tools in sizes ranging from 4x4mm up to 12x12mm. Note: We suggest the ø4mm set is used only on smaller lathes such as the C0 Baby Lathe. It can be used on larger machines such as C2/C3 Mini-lathes etc. 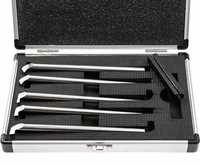 but care must be taken when clamping the low profile tool holder since it's easy to apply too much clamping pressure which may cause the holder to fracture.